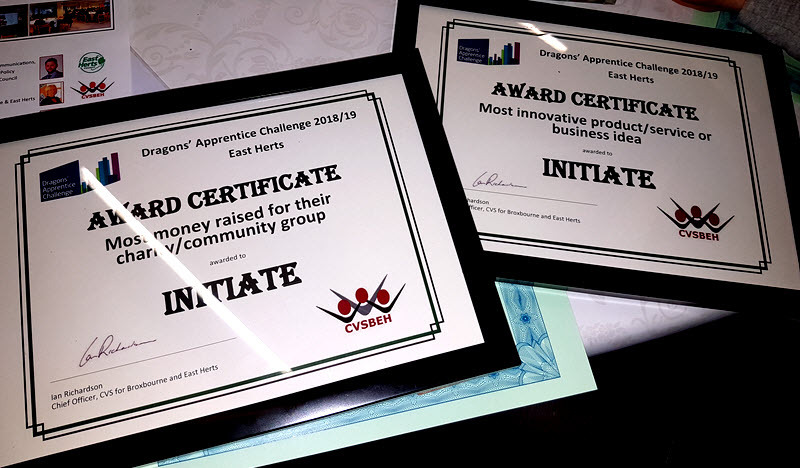 Herts & Essex High School have just completed this year’s Dragon’s Apprentice. In the Autumn of 2018 6 schools were given £100 to start up a business with 6 months to generate funds for local charities. 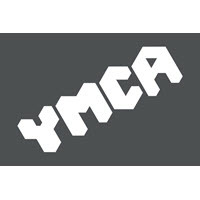 TheGivingMachine charity was allocated to Herts & Essex High School who then chose two causes registered with TheGivingMachine – The Addie Brady Foundation and YMCA to raise valuable funds for as part of their business plan. Over the course of the allocated time frame, with support from their very own Dragon – Sarah Martin at Stansted Airport, they prepared a business plan with various roles appointed within their team, together with a marketing strategy and event schedule. After a super successful series of events, several donut/bake sales, badge sales representing Addie Brady and a fantastic Mixer held at local nightclub Bacchus, they managed to raise an astounding £2778.12 full profit after expenses. 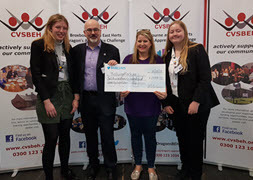 On Monday 18th March, an Awards Ceremony was held at Southern Maltings in Ware, hosted by the organisers CVSBH, where all the teams regrouped and presented their business plan, highlighting their sequence of events, resulting in monies raised for their charities. They proceeded to be asked questions by the 3 top Dragon’s with all teams successfully demonstrating how they achieved their results. The evening was an amazing representation of young adults from the 6th Forms of each school participating. 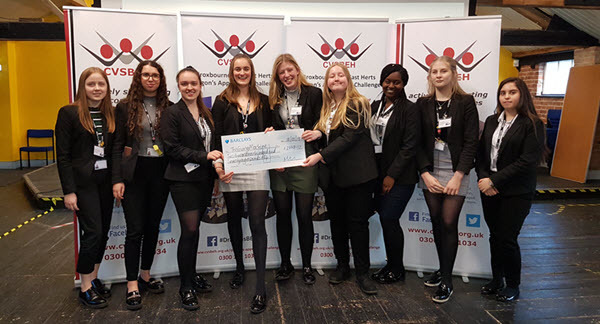 Herts & Essex High School came away with a much deserved not only one but two awards for ‘Most Money Raised’ and ‘Most Innovative Product/Service/Business Idea’. 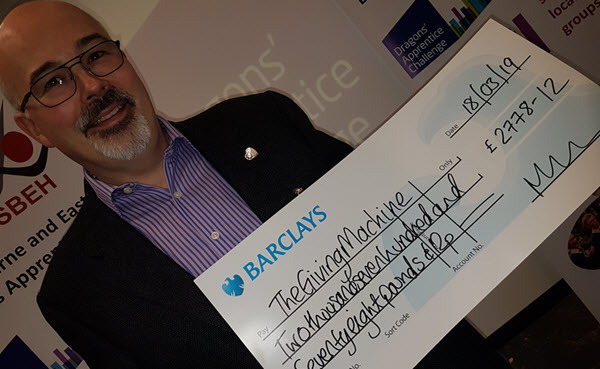 TheGivingMachine have been delighted to be involved from start to finish and it’s such a wonderful initiative to bring a whole spectrum of people and businesses together. 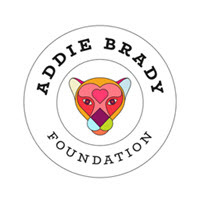 The Addie Brady Foundation and the YMCA have now received their share of the funds generated, leaving everyone involved proud of the fantastic achievements made. The world would be a better place with more giving in it! TheGivingMachine is an award winning charity based on a simple but powerful idea – making giving free and easy. passes it on to your chosen cause. Please be assured that submitting your email address doesn't automatically add you to our mailing list.